WOW! 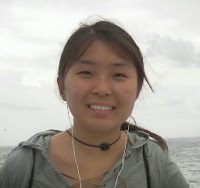 Women On Writing Blog: Meet Summer 2013 Flash Fiction Contest Winner, Jenny Wang! Meet Summer 2013 Flash Fiction Contest Winner, Jenny Wang! Jenny Wang is an Ann Arbor native who’s studying English at the University of Michigan. But don’t ask her how she came to choose English and writing over all the other subjects, because she doesn’t have a clue. Whatsoever. It’s all kind of a blur. Ask her friends and they would tell you that they had never expected her to be interested in writing. It was always supposed to be something in math or science, which she’d been more comfortable with. She had always struggled with reading and writing when she was younger, and it wasn’t late in high school that she’d finally felt more confident in her skills. So no, she’s not really sure how she’s gotten to this point. All she does know is that she’s enjoying every minute of it right now. She’s grateful to all who have supported her: her teachers, her professors, her classmates, her friends, her family. She’s amazed that they have been patient enough to read some of her really embarrassing, really rough drafts. And of course, she’s thankful to WOW! for all they’ve done for aspiring writers. If it weren’t for everyone’s support, she’d never have realized that the random and private stories in her head were worth jotting down. Jenny: Over the summer, I was working on a few stories to submit to class in the Fall term. (I was hoping to take a creative writing course, and it required that I turn in a portfolio before classes began.) So, being new to the writing world and the writing community, I was hoping to find more people who were willing to critique my stories. Someone told me about WOW! and their quarterly flash fiction contests and their extra "critique" option. By then I already had my idea for "Stage," and so I thought, "Why not? I can probably learn some really valuable writing tips from them." Several days and some 600 words later, I submitted my story, and here I am now. WOW: So it turned out pretty well! Can you tell us what encouraged the idea behind your story, Stage? Jenny: A lot of things were going on during the summer, and I think they all sort of mixed together into "Stage." After my first year of college, I was finally back home with my mother, and our relationship got off to a rough start. While I was at school, my mother had gotten used to not having to cook and clean for another person, and I had gotten used to not having a curfew. Arguments over whose turn it was the do the laundry, or wash the dishes, or vacuum to carpet ensued. Somewhere in the middle of this bickering, I suddenly remembered a simpler time, back when it'd become just me and my mother, when I'd been so willing to do absolutely anything for her. My loyalty to her was rock-solid, because I'd known that all I had was her. At the same time, I was watching a show (or maybe reading a book) that talked a lot about hair, and what hair meant to different people. And so I wondered what sort of value little kids, especially little girls, placed on hair, or the lack of hair. Would a little seven-year-old be able to understand the significance of losing hair to cancer, since she might not fully grasp the concept? WOW: It's interesting to hear the background and how your idea developed. How did you craft your winning flash fiction story? Did you have to edit much to get to the final version? After I'd picked the right version, I did a bit of cleaning up, and I finally submitted it. WOW: As a college student studying English, what have your favorite classes and reading assignments been so far? Jenny: The problem with being an English major is that there are so many good professors and classes out there. I have a running joke with my friends that we've been recommended pretty much every English professor in the department. I really love having professors who are clearly passionate about what they study and what they do. My favorite classes are definitely the fiction writing classes, especially my first one, because I'd taken my first few stabs at writing short stories there. I also like classes on contemporary literature -- in one, we read Love Medicine by Louise Erdrich, which I really enjoyed. Right now, I'm taking a class on Victorian literature, and I'm still surprised by how much I love it. The Story of an African Farm is one of my favorite books now. I'm also taking a disability culture class, and it's quite an eye-opening experience. Exile and Pride by Eli Clare is also a great book. WOW: Sounds like a great college experience for you. Thanks so much for chatting with us today, Jenny! Before you go, can you share your favorite writing tip or advice with our readers? Jenny: Maybe this is just me, but I tend to think that because I'm still young and living within the protective bubble known as college, I don't have much of an opinion to contribute. What does this kid know about the real world, anyway? But I think we get some of the most valuable perspectives from kids and young adults. Everyone has experiences that only they can tell, that deserve to be told. I guess my word of advice would be to voice shamelessly, through storytelling, what you think deserves to be said.